Brantford – In an increasingly globalized world, new challenges arise on all fronts, including the field of criminal investigation and crime prevention. 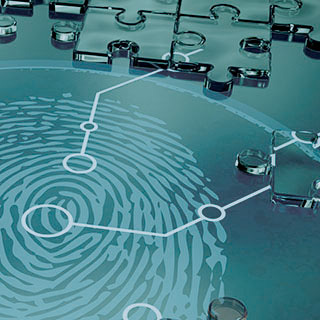 Upcoming lectures presented by Wilfrid Laurier University’s Centre for Public Safety and Well-being will examine two topics impacted by our unprecedented interconnectedness: cyber security and white-collar crime. The lectures, sponsored in part by the Wilfrid Laurier University Criminology Students’ Association, are offered at no charge and are open to the public. On Monday, Oct. 30, Lyria Bennett Moses and Janet Chan, both internationally recognized scholars from Australia, will present their research in a lecture titled “Big Data Analytics for Cyber Security: Opportunities and Risks.” The lecture takes place at 7 p.m. in room RCE 004 of the Research and Academic Centre. The advent of “big data” technology has led to a new approach to dealing with cyber security. The use of advanced analytics to predict vulnerabilities and manage risks promises new breakthroughs in how cybercrime and cyber security is managed. Bennett Moses and Chan critically examine the opportunities big data analytics offer for cyber security, while suggesting caution in the wholesale adoption of this new technology. On Monday, Nov. 6, at 7 p.m. in room RCE 004 of the Research and Academic Centre, Simon Mackenzie from the Criminology department at New Zealand’s Victoria University of Wellington will deliver a lecture titled “Policing White-collar Crime and Organised Crime in International Markets in Trafficked Cultural Objects.” This talk will consider the challenges of policing the illicit market in cultural objects at each of three points: in source countries, in transit, and in the destination markets. Mackenzie will review some major examples of antiquities trafficking, and will explore the paths that looted cultural objects take out of source countries, and the various roles of the players involved in their removal and transit. While admission to both lectures is free, guests are asked to preregister online. For more information about this event or the Centre for Public Safety and Well-being, email cpsw@wlu.ca.